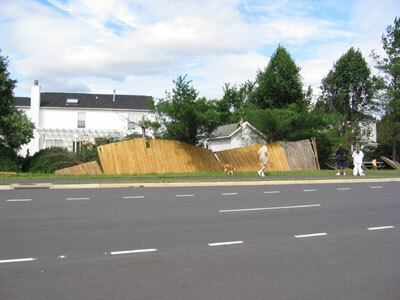 The remnants of Hurricane Ivan were passing through town. It rained all day. 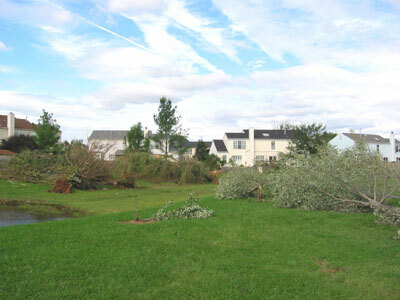 In the late afternoon/early evening, tornado reports were coming in from the area. Around 6 pm I headed home. When I got to the 1st floor of my office, there was quite a stir because a bunch of people had just witnessed a tornado forming outside our building. 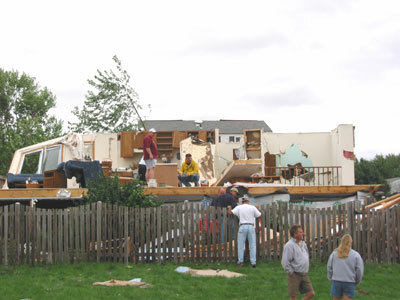 There was a swirlling cloud descending with debris flying. I chased after the weather, heading north, but the twister dissapated. However, I soon learned that Dulles airport (due north), had people evacuated from planes and the shuttles and told to keep down and away from windows. It must have been quite a sight from the tower, which is very tall and isolated. 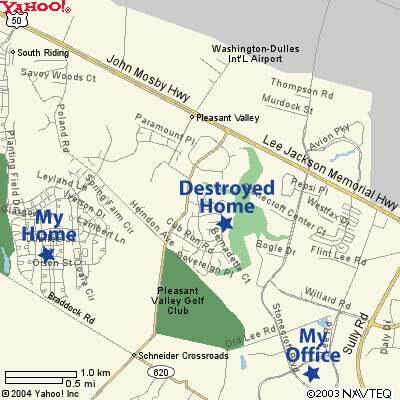 The good news is that the airport property is large and undeveloped, so the track the tornado took limited the damage that could occur. 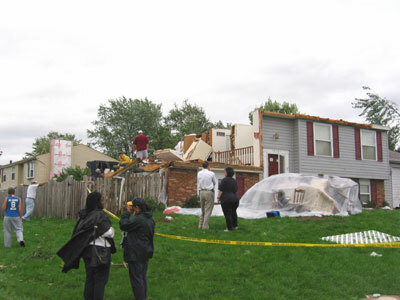 However, it managed to wipe out one house, halfway between my office and my home in the Pleasant Valley subdivision. but not much more of it. 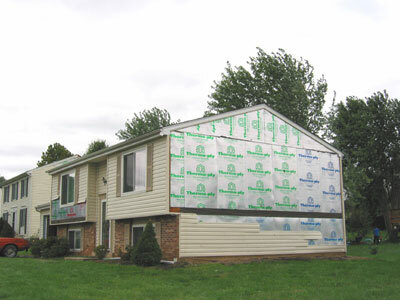 The side of the house was completely torn away. water damage, though. Dulles airport got 2.34". 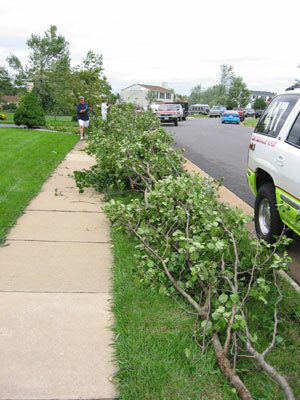 activity with residents dragging branches to the curbside. 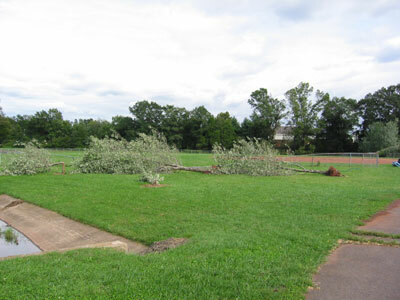 another tornado that dropped a series of trees in a line. were counting their blessings as well. It could have been SO, SO much worse.